So let’s actually compare uniforms shall we? Lets look at the uniform that is being replaced, The Tan coloured one. This uniform originally was an updated and more 90’s look for scouts and replaced a wool jersey for cubs. The uniform was largely unchanged since the mid 50s. 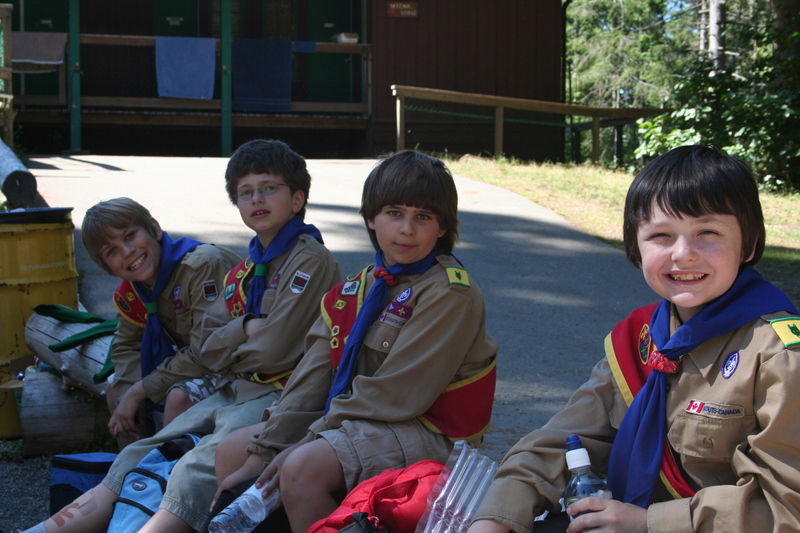 About 8 years ago, the “Circa” came on the market for Scouts, Venturers, Rovers and their leaders. Billed as an activity uniform, but provided the troop decided on it, it could have been their full time formal uniform as well. Many decided that it was hip and modern and was exactly what the movement needed. They were wrong, numbers continued to drop and circa is all but invisible now. My circa t-shirt was a paint shirt in college, it worked as a shirt you could wear to school and *if* someone saw the TINY Scouts Canada logo, they might ask you about it. 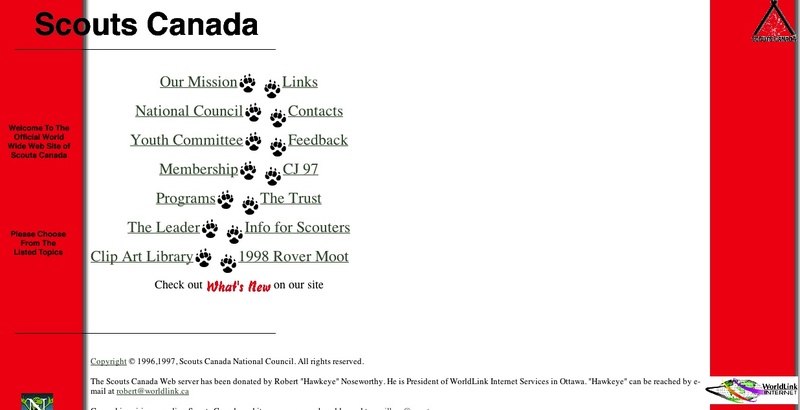 It was also factually wrong, claiming that Scouts Canada started in 1907. 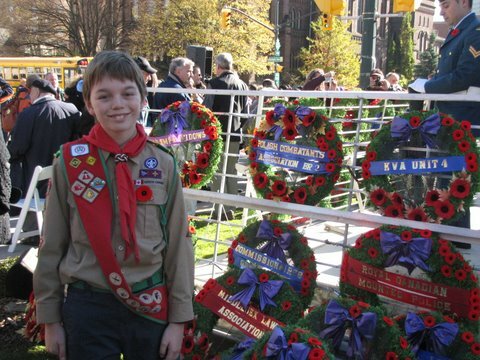 Scouts Canada, as Boy Scouts of Canada was incorporated by act of the Canadian Government in 1914. 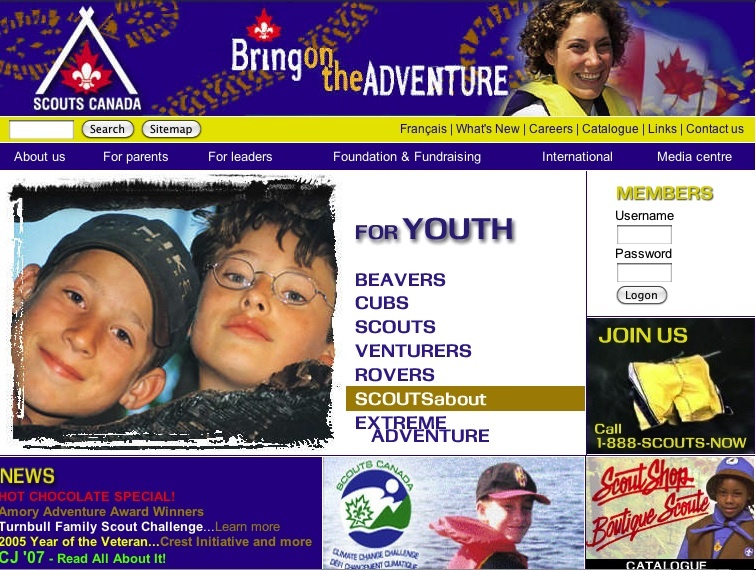 Of course there were groups in Canada not long after B-P published “Scouting for Boys”, but the national organization wasn’t formed till much later. Anyway, lets get on with the meat of this thing: the uniforms themselves. I really hate stock photography. Beavers, the change is cosmetic. I assume various beaver shirts will be available and the vest and hat as per usual will be tying the uniform together. As it’s also fleece, the vest can now be worn on top of heavier sweaters during the winter; which is always a plus. While the vest may come off at meetings since it is fleece hopefully it’ll all work out. No real change here, same basic look that’s been around for nearly 35 years. 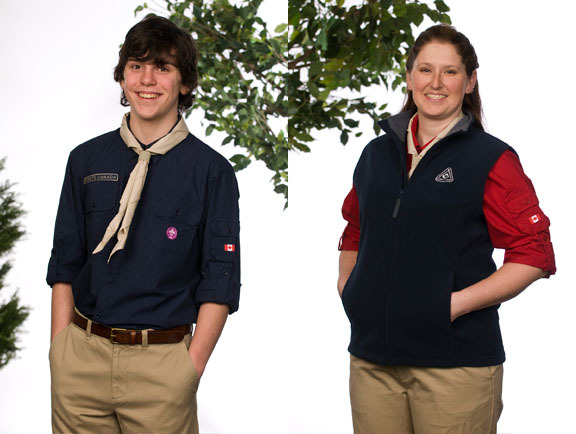 Cubs, Scouts, Venturers and Rovers all have two uniforms: a formal one, and one for the general activities that Scouts do. 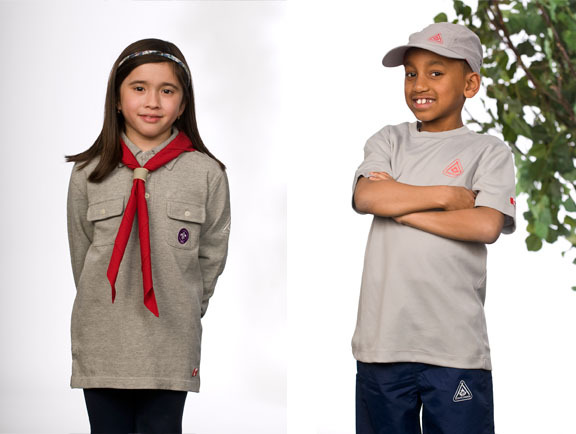 That activity uniform has always had a name: Camp uniform. Every major camp I’ve ever gone to, there’s been a camp uniform, usually consisting of the neckerchief, hat, proper shoes, a tshirt and shorts or pants. Hey look! That’s EXACTLY what the activity uniform is! Awesome! In more then 1500 photos I’ve looked through for this article, I haven’t been able to find a single one that shows a cub in full uniform (tan shirt, epaulettes, sash and necker) with the shirt tucked in and still doing something other than standing still. I think this says a lot about the practicality of the tan shirt for cubs. I know there’s a photo of me getting invested and I was swamped in my uniform as a cub. There was just too much of it. Shirts that really shouldn’t tuck in and are still functional. There’s probably a smaller size for the girls, but probably not available come time for the photos. I've seen kids this age, with two arms full of badges. I’ve seen it done. There’s a group here in Vancouver that I was a part of once which have been sewing their badges to their tan shirts like the cub shirts were never changed. This issue of cubs sewing badges on their uniform isn’t really an issue; cubs can sew *if* you teach them and isn’t that an important skill to teach a child? 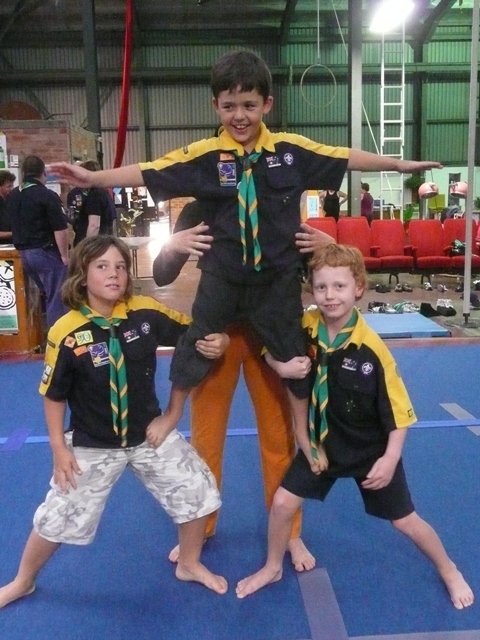 Look at these Aussie Cubs, being awesome in untucked cub uniforms! These shirts are also not designed to be tucked in. Which as long as a parent buys a shirt which *fits* their child, this shouldn’t be an issue. It’s essentially a long sleeved rugby shirt which fits in perfectly for the type of things cubs get up to. All I’m saying is just wait till you see 30 cubs wearing the same thing and then tell me it looks sloppy. I’m not even joking, this is a paraphrased quote speaking on the colour of the New Cub Scouts uniform. Why Grey? Because they’re WOLF Cubs. Under the care of the Akela. This only makes sense in context of the program. Beavers look up to Cubs and see them in their uniform and in typical child fashion they want what the bigger kids have. It’s the same with Cubs to Scouts and so on. By the way, for those that joined the movement after 1991, Cubs use to wear grey wool sweaters, which are FAR worse to sew on, wear, and not nearly as good as the new materials. Granted, Yellow is predominate in the cub program, but Green actually has more of case in this colour battle. Pre-1950’s the cub shirt was actually green and still is in some parts of the world. Yellow was only the complementary colour to the green in the old cub hat. Go figure. A photo by Harry Shnider. He can be found @harryshnider on Twitter. First thing I said when I saw this uniform. Is wow. Joe Fresh actually understands Scouting. Not much has really changed. 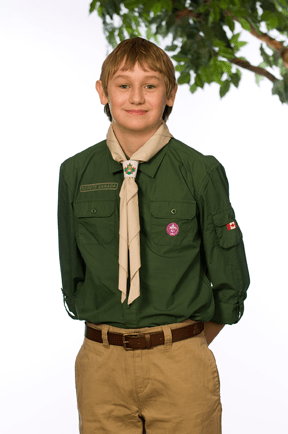 Scouts have gone to a far simpler uniform, reminiscent of Boy Scouts of Canada uniforms from the past. Essentially, pants, shirt and necker and the kid can be out the door in full uniform. This is actually far closer to what BP intended for scouts in Scouting for Boys. In his original description, he picked items that were readily available and everything had a purpose. We’ve come a LONG way in terms of clothing construction and the materials we use, even in the last twenty years. In the same group as above with the cub badges, all the Scout badges, which are bigger and embroidered were sewed onto the uniform. The diamond badges were sewn on the left arm below the province badge, and then removed when the voyageur level was completed to make room for the pathfinder level badges, and the activity badges were sewn on the right arm below the patrol badge. I never had a problem sewing on those badges and never had an issue rolling up my sleeves. I don’t have much to say about the Venturer blue and Rover red, mainly because it’s already been said about the Scout’s version of uniform. What I do have a problem with is the decision to go with Red for the leaders. I get that SC is trying to say the Rovers are our most valuable assets and essentially leaders of the movement. But at the same time Rover Program is so different then Venturers, or even Leader development. Rovers have long been a section that’s a little bit different and grouping them in with leaders, I feel, nullifies that “I’m a Rover!” effect. On the other side of the coin it addresses that Rovers for the most part *ARE* legal adults, which is very important to realize especially with a recent event in Alberta. I and others feel like the unveiling was all flash and no content. Now that may have been because I wasn’t at the unveiling, but a lot this information could have been released on to the website. Lack of information for badges, where are the Venturer badge redesigns? 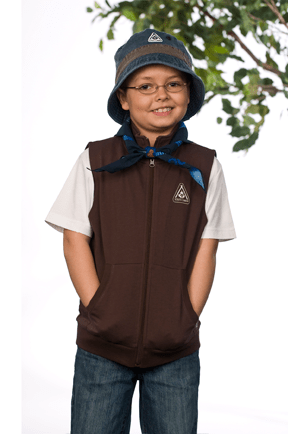 What about Sea Scout uniforms? Will they change? That all being said, This is one of the first times in my scouting career where I can legitimately say, well done National. Now, where I can find me a red rover hat? This entry was posted in Discussion, History Lesson. Bookmark the permalink. Having been a Rover who was a part of the uniform review process 20 years ago, I too must say well done. A practical, comfortable, wearable uniform has at last returned, begone the blah days of tan! Nice article. Lets remember that it is what inside that makes us real Scouts. The uniform is just the icing! carrying on a coherent argument augmented with photos. Keep looking over the horizon. Well, I think Mr Burge make some very valid points. Well researched, well written, well done! I was not a fan at first, but your points are well taken. 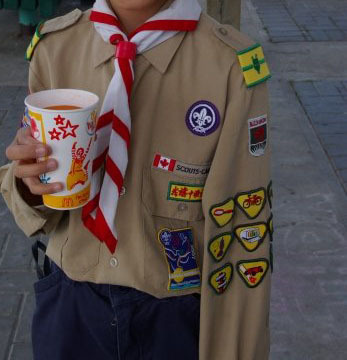 The new uniforms do remind me of the kit I had when I was a Scout. I just wish the folks in Taiwan had made them big enough! I also prefer a reef knot, not a granny knot. Minor bits that I am sure will be rectified in the next while. Mark, I think the biggest part we forgot with the tan uniforms, was that the scout uniform is meant to be worn, it’s meant to get dirty, it’s meant to get crumpled up. We made too much of a think ironing the shirts and making sure everything was perfect, and forgot that these are children and teenagers that are *going* to get messy and make mistakes. By making a uniform that can go from the dryer and straight on to the back of a scout, it makes it far more useful and kid-friendly. That isn’t to say that uniforms should be messy, but they should be neat. What I mean is that badges are sewn correctly, there aren’t loose threads, and I would advocate tucked in for formal events, and when looking at 10-20 scouts from a distance they should mostly look the same. OR at least the clothes should. As for the corrections, I hear they’re coming in time, but in some cases the fit is due to design. They’re not going to “fit” the same way as the tan shirts, but that’s a design flaw/feature from joe fresh. So you win some, and you lose some. But I think we’re coming out ahead. as a leader and a Rover in the 1950-60’s in several countries, I appreciated the khaki uniforms of those days. Even in tropical Singapore they were great. neckers made first aid slings/bandages, lemon-squeezer hats for weather protection, shorts and short sleeve shirts for ease of movement, stout leather belt for carrying necessary gear. I’m not sure B.P would agree with the current look which seems to preclude a smart appearance at meets. Am I just old-fashioned ? Baragon, the thing is that despite the military background that BP had- he was never for the drill aspect of military and that included crisp uniforms, smart looking as in it was tucked in and there weren’t threads everywhere and badges were on straight, but not to the point where there were ironed lines in the sleeves or all the wrinkles were out. His point was that the uniform was available for all, and all could wear it despite socio-economic backgrounds. As for other aspects of the uniform, the stetson is an outdated hat, Sure it works well, but there are better alternatives out there- Tilley specifically designed his hats to improve on the Stetson. Neckers still are used for all sorts of things, as they always have been and a leather belt for carrying stuff has been replaced with gear that allows better movement and stability while being active. The point was to modernize, something B-P was for- keep in mind that the only real reason that Guides was started separate to Scouts was because of Victorian values. Nevermind that Scouting grew so quickly was because it was modern at the time- activities aimed teens. A polo shirt and khaki pants is a work-uniform staple at many businesses for a reason- it’s practical yet still has a collar and can convey that you’re part of something bigger. As long as people the same thing, it doesn’t really matter what you’re wearing. I fully believe that if B-P started Scouts in 2013, there is no way he would advocate for the same uniform as they had 100 years ago. It would be the same as advocating that women should only wear skirts and dresses- yet that is now unthinkable. And honestly- camp uniform hasn’t changed since the 50’s anyway, T-shirt, Shorts, a necker and hat are typically required for any outdoor event in the summer. Which is basically what is being offered- a formal and informal option. As long as a section is wearing the same, thing it shouldn’t matter. So to answer the question, no. I don’t think you’re old-fashioned, I think you’re advocating for being prepared and adapting to changing conditions is just that, being prepared. Mark, in my early years as leader (1950’s on) the Australian camp uniform was notably a ‘campfire’ shirt which was loaded up with your badge collection..particularly jamborees attended, with great pride. I believe BP introduced the uniform to instil a means of self-pride and care for ones self. I am not bagging the modern uniform but we should bear in mind that BP drew from his military experience in formulating the scouts. I feel that we have lost too much of the respect and pride of the Scout uniform. Kids today don’t seem to have pride in their appearance. BP’s scouts of old were taught, and expected, to have respect for themselves and to bring honour to the Movement when try were out in uniform. An integrity that I fear is lost when wearing an untucked jersey. See my response to Baragon. The thing to remember is what is actually important- kids wearing an untucked shirt OR learning valuable skills and knowledge. Not to say we can’t do both, but I’d rather the latter if we can’t have both. 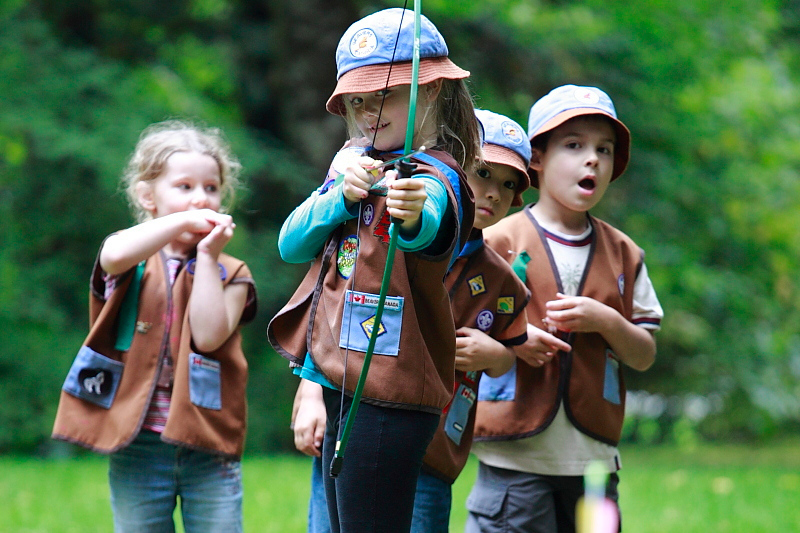 I am definitely not downplaying the importance of the life skills that Scouts gives kids all over the world. My concern is that we are no longer providing or expecting self-pride and self-respect that care for a uniform demands. We are sacrificing these important character-building skills for the sake of keeping our enrolment numbers up. 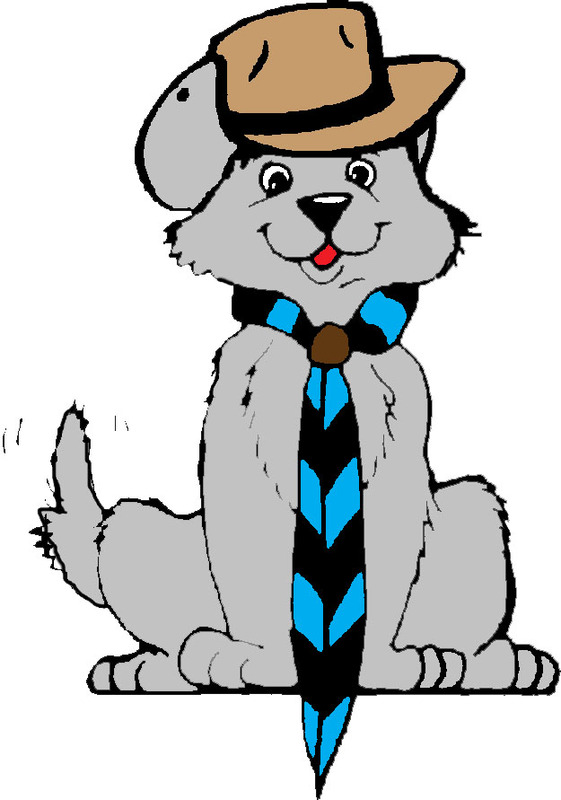 There’s nothing stopping an Akela from doing an inspection of if the shirt is clean, if the necker is nicely done up, woggle on straight etc. I don’t think we are sacrificing these things, in fact I know an Akela that does exactly what I describe at her meetings and her membership is up because she runs a good program. I even heard from a new cub the other day asking when he could get his uniform- but he wouldn’t have asked if the program was good. I am trying to find out what the badges on a bpy scout shirt represent. A friend of mine has just found his scout shirt from the year 1940’s He is now 86 years old and can’t remember what they all represent. It is in perfect condition and alot of the badges were made during the war and are very plain looking to the others. He was a King Scout in the 1st Hantsport Boy Scout Troop. His best friend was also a King Scout in Hantsport, NS.. I would appreciate any info . Thanks. returning to the uniform line. BP was all for sourcing ex-military clothing to make into scouting uniforms. BS has never pushed military lines but most certainly collective and self discipline was encouraged. Our local cub pack mostly leave their neckers hanging in the den so obviously not often worn. We taught the lads how to keep their uniforms crease-free and looking smart. PL’s themselves encouraged self-pride…was that not part of the BO mantle ?.